Click here to order: Apprentice House. 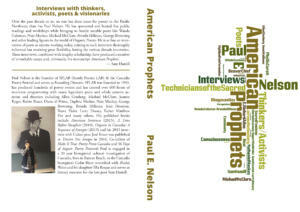 Become a fan of A Time Before Slaughter on Facebook and get updates on readings and workshops. (A Time Before Slaughter is) A wonderful piece of work. That form is nothing so simple-minded as “extension” of content – but they’re one thing inseparable. The “form” dances and changes continuously (like the river). 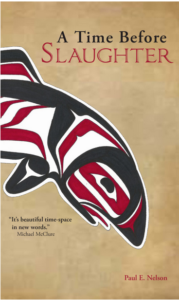 It’s a fierce poem – beautiful & heart-breaking & dark & uplifting – “Slaughter” is a wonderful journey. Ordinary Madness podcast, interview by Steve Barker, May 1, 2012. Rain Taxi interview by Greg Bem. Page one. Page two. Recording of the October 21, 2010 Northwind Gallery reading, with Gary Lemons. August 2010 interview with Robin Carneen. Robert Whale review of a May, 2010 reading in Auburn. Review & interview by Robert Whale in the Auburn Reporter, February 4, 2010. 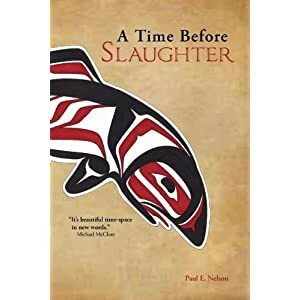 Paul Nelson’s epic Slaughter explores the history, mythology and ecology of a place, a meeting-ground for various cultural interchanges, both good and bad, in the tradition of Charles Olson’s Maximus Poems or W.C. Williams’ Paterson, but uniquely his own. 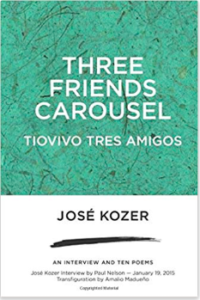 It is a pleasure to read—enlightening, serious, funny, and overflowing with life. A Time Before Slaughter reviewed by John Olson, Dec, ’09. 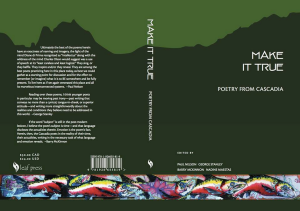 A TIME BEFORE SLAUGHTER walks with great poetical ability the fine and difficult line between the political and the poetical: a fine line that in most poets leads to the political tract, which shortsells the poetical. 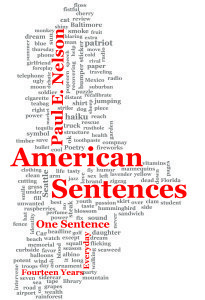 Paul Nelson, on the contrary, manages to deal with today’s world, and its terrible pitfalls, with an eye on creation and not on cheap lamentation: it results in a book where neither poetry nor nature, nor life or history, are tamed; they are exalted, in all its complex reality, through a sustained poetical state that turns A TIME BEFORE SLAUGHTER into an authentic work of art. Video of some Slaughter poems taken at Subtext. Here’s one more big hunk of the American shoulder, as Olson carved his from the North East, Nelson takes his from the Pacific North West. It’s beautiful time-space in new words. Here is the urban Northwest as it was and as it will be. Read it and weep. And cheer. 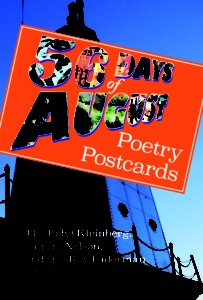 The poem will take you where the I-5 can’t go.